Microfiber is a synthetic fiber finer than the diameter of a strand of silk which is itself about 1/5 the diameter of a human hair. When formatted into a cloth or floor mop these fine stands are very effective at collecting dust particles or wiping up that nasty spill. Designed to be used in a variety of situations, you will find Microfiber tools for cleaning hardwood floors, windows, mirrors, basically any hard surface. Did you know that the finer is the microfiber, the stronger the cleaning power will be? That the microfiber is essentially made of polyester and polyamide and more polyamide it contains better it will be? When dry Microfiber will act as a magnet to dust and draw those dust bunnies to a new home. Add wet cleaning to the equation and the Microfiber tool will jump to the task to clean any tough to clean area. 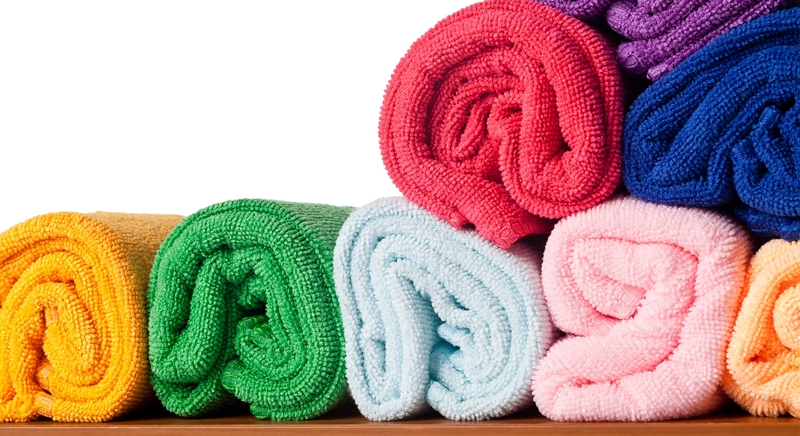 Due to those thin strands microfiber is also very effective to clean up greasy surfaces. And the soft nature of microfiber won’t scratch or damage any surface. The tight weave will ensure that your tool stays intact. No little stragglers left behind. Perfect for cleaning mirrors and windows! No limit to the cleaning options. You only have to wash it in the washing machine and voila!